Amy is gracing the cover of the April issue of The Sunday Times Style. The new cover was unveiled today and it will be available this Sunday (April 21). 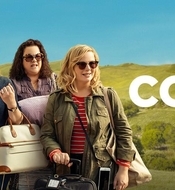 During the interview, Amy talked about ‘Wine Country’, patriarchy, motherhood and much more. Our gallery has been updated with magazine scans, photos from the photoshoot and you can read the interview below! 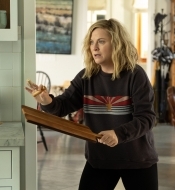 “Wait, I know you!” Amy Poehler says, her face alight with recognition when I walk into the sunny Los Angeles studio where she has just finished Style’s photoshoot. 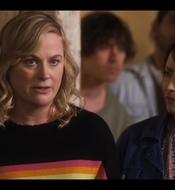 “Where have we met?” I interviewed her, briefly, 12 years ago in her Saturday Night Live dressing room when she was a featured player, early in her marriage to the comedian Will Arnett; she was best friends with Tina Fey and her career was on a meteoric rise. 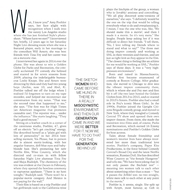 Amy was interviewed by Elle magazine to talk about ‘Wine Country‘, Leslie Knope, feminism and much more. You can read the full interview below! 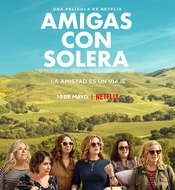 Brand new images from Wine Country were just released today including posters, production stills and a promotional photo. Head over to our gallery to check them out! 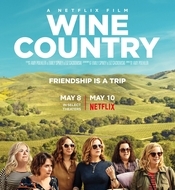 Netflix released the official trailer for Wine Country today alongside with a new synopsis from the movie. A new promotional art was also released today on the movie’s official twitter account. Our gallery has been updated with this new image and screen captures from the trailer. Check it out below! 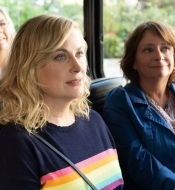 Amy Poehler, Mark Rivers (composer), Mike Schur (co creator), and Emma Fletcher (writer) were interviewed by LAist to talk about Li’l Sebastian, 5,000 Candles In The Wind and more about the legacy of Parks and Rec. Read the full interview below! 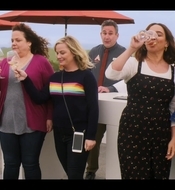 One of the most iconic moments in the show’s history was the funeral of town icon/miniature horse Li’l Sebastian — it perfectly summarized the show’s extremely earnest heart. Schur: We said, they’re a bar band. They’re not incredible musicians. But, the joke here isn’t ‘this band is terrible’ — they should be competent songwriters. Schur: I was sort of saying, it’s in the vein of late ’90s radio rock. Stay up-to-date with Amy's latest news by following us on our social profiles. An average kid named Duncan dreams of making it big without having to wear a suit and tie to do so. 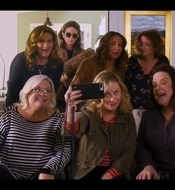 Founded by artist Amy Poehler and producer Meredith Walker, Amy Poehler’s Smart Girls organization is dedicated to helping young people cultivate their authentic selves. You can send them to our e-mail address and we’ll reply as soon as we add them to our fansite. Please note that anything that violates Amy’s privacy will not be posted. 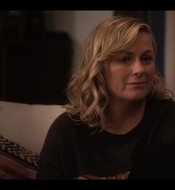 I Heart Amy Poehler is a non-profit fansite, completely unofficial, and has no affiliation with Amy herself or anyone around her. All media are copyright to their respective owners, no copyright infringement is ever intended. If there is anything on this site you'd like us to take down, please contact us.